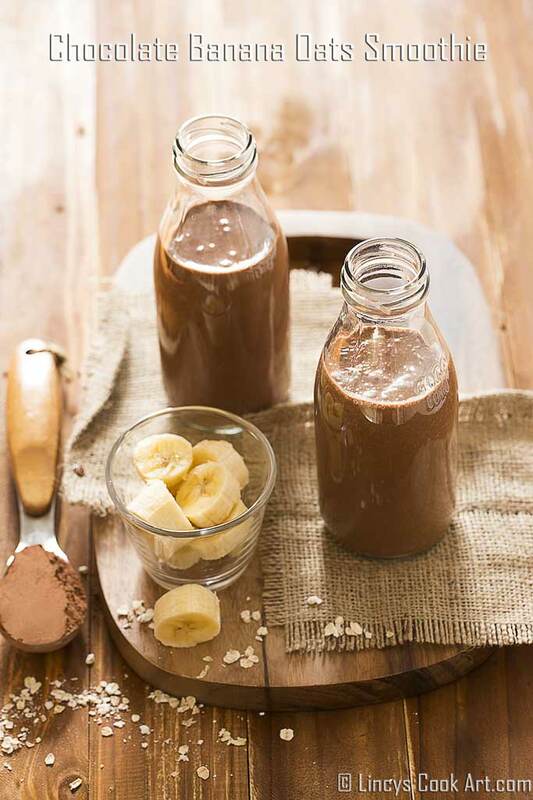 Chocolate Banana Oatmeal Smoothie is an easy to make wholesome breakfast smoothie. Tasty as well as filling drink for breakfast. 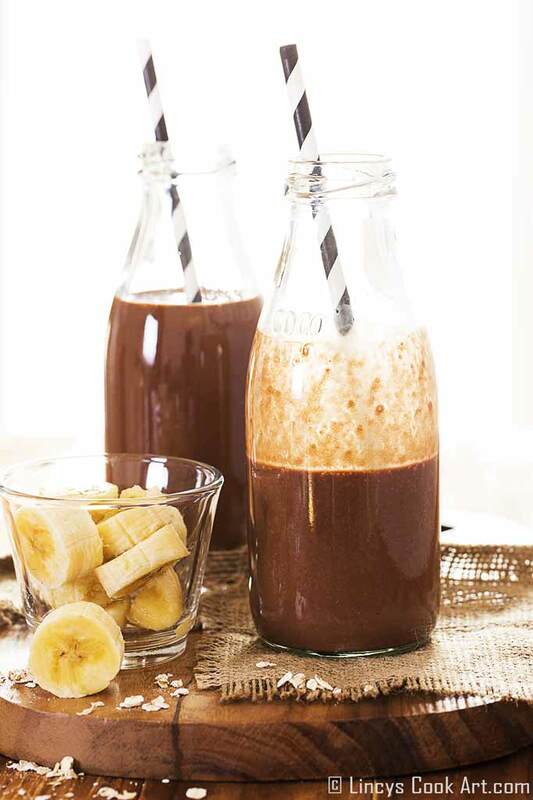 You could use the frozen bananas from fridge too for the smoothie, the bananas adds volume, thickness and creamy texture to the drink. Oats adds nutrition and fullness feel. It is definitely a healthy tasty drink for the one who loves chocolate. Kids love to have this for breakfast for sure. With a simple breakfast it provides sufficient enough energy and fullness feeling till you take your lunch. Powder the oats or soak the oats 1 hour in warm water or overnight and strain the water. 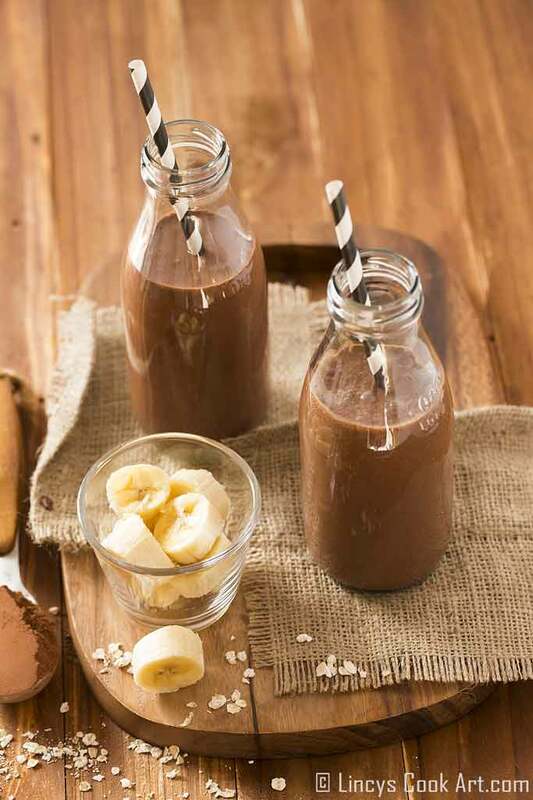 In a blender or juicer jar combine yogurt, bananas, cocoa powder, oats, honey, vanilla extract and ice cubes and blend well till frothy creamy. Note: Add a tablespoon of peanut butter| Nutella (or) few finely chopped nuts for extra richness. 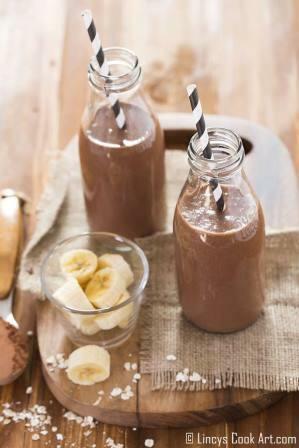 Use low fat yogurt to prepare the smoothie more healthy. 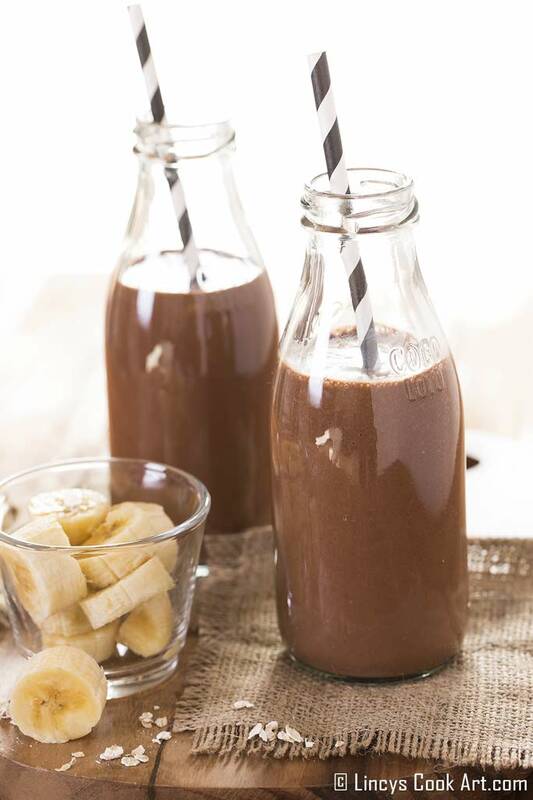 Boil 1/2 cup of milk and add the cocoa in hot milk and chill the milk and use to avoid raw cocoa taste.